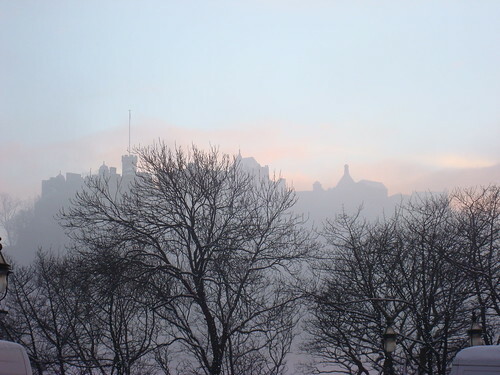 edinburgh | Exciting Adventures of an ex-Archaeologist, soon to be Teacher! The knitting group I have been going to since moving back to Edinburgh has had to find a new home – sadly, the Tea Tree Cafe on Bread Street shut down this week. I first starting going to the TT when I found the group on Ravelry in about April 2010 (http://www.ravelry.com/groups/tea-tree-tea-knitters). I can’t recommend Ravelry enough for just beign awesome. It’s free to join, has a database of around 192,674 knitting patterns, and around 67,845 yarns. as well as a huge international community of knitters of all ages and abilities. It’s like Facebook for knitters but a hell of a lot better. You can add projects to your profile, link it to the pattern apge, link it to the yarn page and see who else has made the item. and how they did it and what they used. Properly inspirational and easy to use. But back to the group – I think of them as my sort of extended knitting family. All lovely people, who come together for something they love and it doesn’t matter what else you do, where you work, age or experience. You only have to share as much as you want, and the escape from everyday life is lovely. The TT knitters have knowingly and unknowingly helped me through some really difficult/upsetting/stressful events without even knowing. Sometimes, knitting group gives strengh to get on with life when you can’t find it anywhere else. On call help for projects is nice too! Finding a new cafe that will be willing to take up to 25 people at a time, who can quite easily take over the place with yarn and cake is hopefully not going to be too much of a challenge. We are trying out some places on a trial basis this month but any ideas would be welcomed. Needs to be: in Edinburgh city centre (ish), space for up to 25 folk and their knitting, buggy accessible and have yummy tea, coffee and cake. Optional: wifi, comfy chairs! We had some friends visiting last week and we saw a few bits at the Edinburgh Festival so I thought I’d share. With over 46,000 performances to potentially take in this month any advice might be welcome. First up was Rich Hall’s Hoedown (http://www.edfringe.com/whats-on/comedy/rich-hall-s-hoedown) at the Pleasance. We were at the preview night (cheap tickets for less than £10 and a lot of locals) but even so, the music was amazing. The back up band were superb and apparently we can go and see the individuals involved in their own shows at the fringe, which I will. Nick Pynn, the fiddle player was particularly astounding – at moments it seemed as if flames really would shoot out of the fiddle being played at breakneck speed. The songs were lyrical genius, the cover of a rap song and the placename song particular highlights. Or maybe ‘She left me for Jesus’ – that was so funny I thought I’d lose the ability to breathe. The only downside about the show wasn’t anything to do with the players but the venue – the seats were too restrictive for any hoedown dancing. Next night was the Best of the Scottish Comedian of the Year (http://www.edfringe.com/whats-on/comedy/best-of-scottish-comedian-of-the-year) at the Underbelly in the Cowgate. With three comedians and a compere for your few pounds (our night was £6 each), it was a good value night. One was awesome, one was good and one was okay – granted I was entirely sober that night so maybe add on a few stars if you’ve had a bevvy. The compere, Alan Anderson, was hilarious and all you’d want from a compere and more. He really knew how to rev up the crowd as well as get rid of the awful hecklers we had on our night. He also has his own show (http://www.edfringe.com/whats-on/comedy/alan-anderson-whisky-fir-dummies) which I’ll need to see too if his compere-ing is anything to go by. Anyone else seen anything worth taking a look at? This early snow business is pretty. 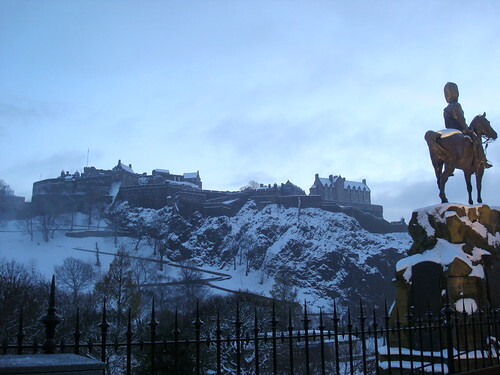 Just remember to wrap up warm and put on some decent footwear and Edinburgh is an awesome place to walk to work in. I have no sympathy whatsoever for the be-Ugg-booted eedjits wandering around, with their need to be fashionable over being practical and safe. Or people the girl I saw earlier, who thought tights, mini shorts and lace up wellies would work. She feel on her arse and I’m not ashamed to say I had a wee chuckle. You would have done too.